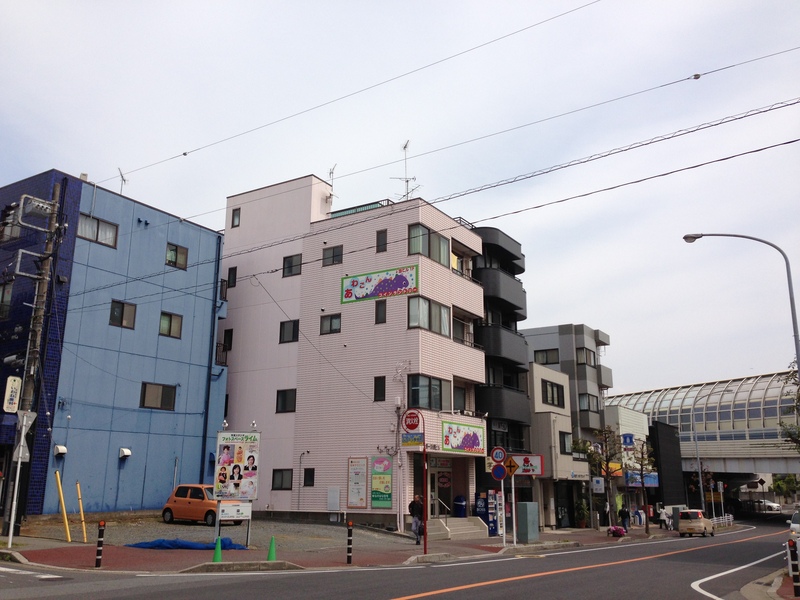 We live in an apartment on the fourth floor of a pink building with a dinosaur on the side. He’s a mascot for the laundromat downstairs. Next door is a “Girl’s Bar,” in a black building so close you could reach out our bedroom window and touch it. Must be a tame locale–we’ve never heard any music, laughter, or shouting. Just around the corner is a blue building with an Okinawan food restaurant, where we speak Spanish to our Japanese waitress. There’s a partially-covered highway just down the street, and we use it as a landmark on our long, winding runs. A sort of homing device. 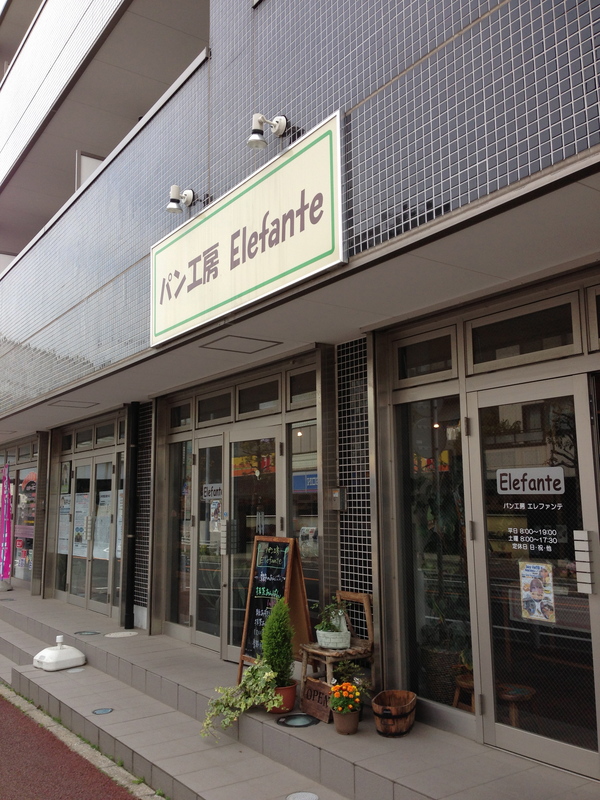 Across the street is a French-style bakery named Elefante, where we get sandwiches for picnics with friends, or sweet buns and pastries on lazy weekend mornings. There’s a grocery store, a convenience store, a dollar store and a discount liquor mart, all within a one-block radius. It’s a small, sleepy commuter suburb, but it has everything we need. It’s our little corner of the world, and it’s perfect. This was actually the very first place we looked at while apartment hunting. 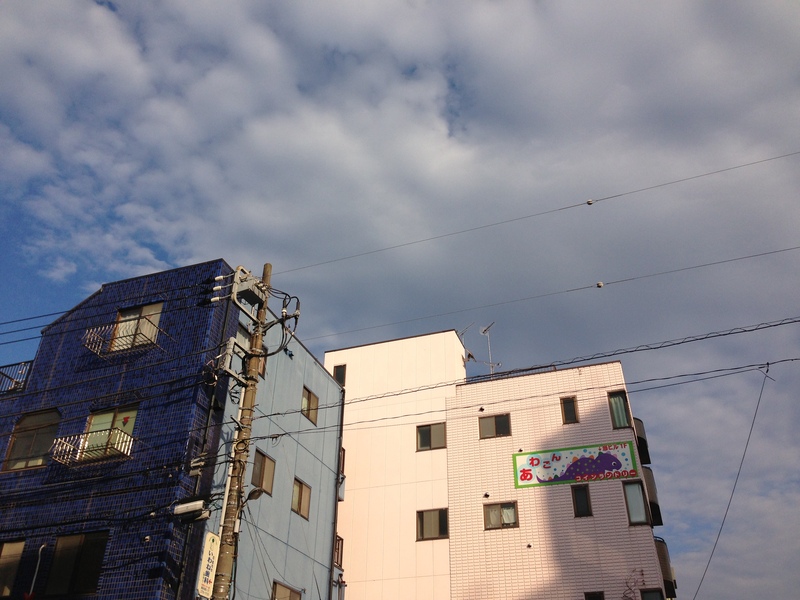 We were pretty set on the Makuhari area, nearer to the school, but decided to check just this one place, in ‘Hongo. Just to see, just in case. Walking in–seeing the sunlight calmly pouring through the wide windows in the living room, breathing the sweet straw-like scent of fresh tatami–I had that same feeling I had when I first saw my old studio on H Street in Salt Lake: this is my home. This is where I was meant to live. I didn’t find out until after we’d looked at 3 other places in Makuhari–one to dark and isolated, one too big and awkward, and one so close to the train tracks we’d be hearing the warning bells chime night and day–that Chad had felt the exact same way: this is it. This is home. “Biru,” meaning building; “Hongo” for the neighborhood; and “Dai’ichi,” which we looked up in our Japanese-English pocket dictionary on the train ride back to our temporary residence in a too-fancy hotel.